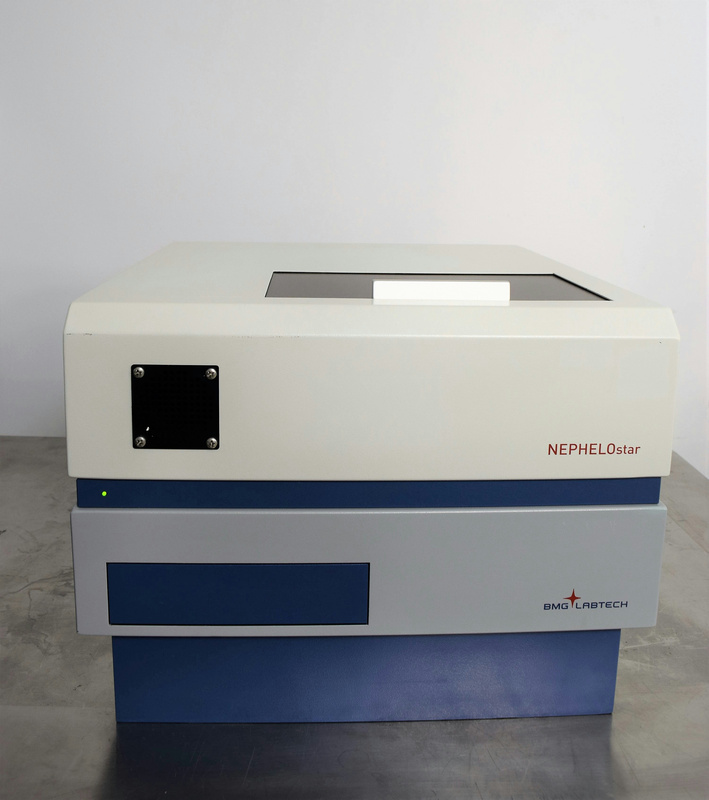 BMG Labtech Nephelostar Laser-Based Microplate Reader Nephelometer Solubility . New Life Scientific, Inc. The laser-based microplate reader was developed to meet high-throughput demands for fast compound solubility screens. This reader detects insoluble particles in liquid samples by measuring forward scattered light and can be used for cloudy measurements, drug solubility screening, protein binding kinetics, microbial growth, and petroleum process control. Our on-site technicians visually inspected the system; the device powers on but no software to further testing could be done.